Should Blockchain Technology Be Used For International Money Transfers? In 2008, bitcoin was born. Bitcoin is a completely digital currency – otherwise known as a cryptocurrency. Bitcoin not only became the first cryptocurrency, it also introduced the Blockchain technology to the world. This technology is what made the concept of cryptocurrencies practically possible. Blockchain technology has aimed to change the face of the financial industry. But has that happened? And if it has, could it provide an alternative for international money transfers? Seemingly, a decentralized currency would be the perfect medium for such transactions. To come to an answer, we must first explore what blockchain technology is and how it works. Then we can discuss its potential for cross-border payments. Ripple (XRP) has been taken over the Cryptocurrency news for the past months. This digital currency is designed for overseas bank transfers – will it change the future of international money transfers? Read our Ripple article here. 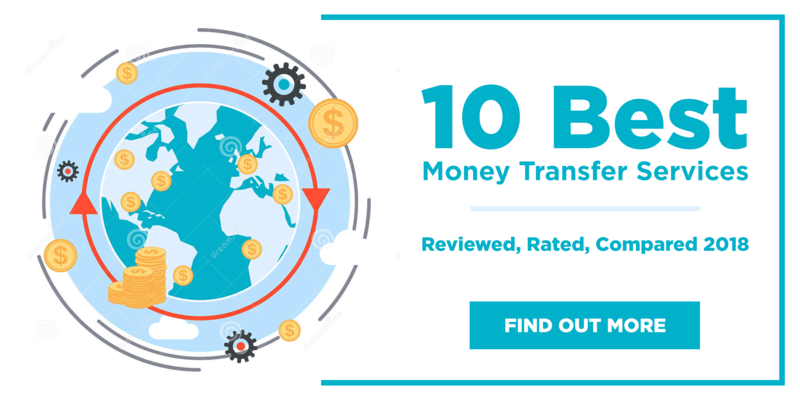 With that being said, we have recently reviewed a company named Veem Money Transfer that does use the blockchain network to facilitate overseas transfers. Once, banks relied on a store of physical money. Your bank balance was something you could hold in your hand if you wanted. Over time, money has become almost conceptual. You don’t need to carry cash and neither does your bank need to hold it for you. Banks do require a minimum ratio of the money they’re “holding”, but we’re all happy to take for granted that our money “exists”. Even when it comes to cash, cash only has value because we all agree to assign it that value. The paper itself is not worth what it can buy. Banks have an infrastructure which has evolved over centuries to keep track of our money, whether in gold as it originally was, in cash, or in its electronic form. Cryptocurrencies have no physical equivalent. Their starting point is entirely different from the history of traditional currencies. Therefore, when bitcoin was conceived, it was necessary to innovate new technology to support it. This technology would have to keep track of a currency which does not and has never physically existed in any form. A currency not issued by central banks, or regulated by regional authorities. This technology would not only have to keep track of every single transaction, it would also have to find a way to root out any attempts at fraud. The solution was blockchain technology. A blockchain is a public ledger of every single bitcoin transaction ever made. When it comes down to it, blockchain technology forms the basis of bitcoin. Without it, there would be no bitcoin financial system to speak of. The blockchain essentially works as an organised collection of “blocks”. Blocks are individual records of recent transactions. A block can be seen as an individual bank statement. So can these blocks be used to track cross-border money transfers? The simple answer is yes. Since the blockchain does not rely on centralised authorities, it facilitates transactions across borders in the same way it does within one region. This does not, however, mean that it is the ideal way to transfer money abroad. There are obstacles that the individual and business faces when using blockchain technology. Nonetheless, there are already many startups using bitcoin for cross-border payments and even some bigger companies who have adopted the trend. Most companies offering transfer options through blockchain technology are relatively new startups. They were started with the intention of offering money transfers in cryptocurrencies. In other words, they’re not trying to fit a blockchain option into a traditional service. convenience. There’s never a need to physically visit a branch. instant and secure transfers. Since it does not have to go through authorities or traditional regulated processes, transfers are instant. This is a big advantage over banks which can take more than a week to put the money through. no transfer fees. Banks and transfer companies charge fees for money transfer. Abra, for the most part, does not. But, while Abra promises big things, it’s been pretty quiet lately. It has raised $14 million, but is only active in one market. BitPesa is a spinoff of the M-Pesa mobile payments system popular in Kenya and other countries. Since M-Pesa is so widely used in Kenya – the country functions to a large extent on the digital wallet system – BitPesa has a good foundation to work with. It has all the same advantages as Abra, along with the ability to send money to those who don’t have access to bank accounts. All in all, it provides an important service in regions where remittances are a common means of putting food on the table. Coins.ph similarly serves a market where remittances and remote work pay for day-to-day living. The Philippine service offers a bitcoin wallet app that allows users to buy and sell bitcoins. Importantly, it allows users to easily convert bitcoins to Philippine pesos, giving the user the option to choose a bank or payment processor to go through. Some even deliver door-to-door. Neema, which was chosen as our top money transer startup in 2015, also started off as a blockchain technology but eventually decided against it for the reasons that will be stated below. But small startups are not the only businesses jumping onto the blockchain revolution. There is a growing number of large banks taking the opportunity to become first-adopters of the cryptocurrency technology. In June of this year, a group of 7 banks including Santander, CIBC and UniCredit, ranked among the first financial institutions to move money across borders using blockchain technology. These banks used San Francisco-based digital settlement firm, Ripple, to convert money to cryptocurrency and back to “real” money. Ripple’s CEO, Chris Larsen, talked up the move, saying that it could be a tipping point. Apparently, as many as 80 other banks are already experimenting with the service. The Financial Stability Oversight Council (FSOC) affirmed that blockchain technology can lower transaction costs and improve efficiency. And the use of Ripple was not the only June development in the move towards major use of cryptocurrencies. The World Bank, International Monetary Fund, and the US Federal Reserve hosted a 3-day event where central banks from around the world shared their progress with blockchain technologies. After a panel discussion featuring CEOs and founders of various blockchain movers and shakers, representatives from central banks showed a real interest in solutions as to making blockchain technologies mainstream. While most big banks and certainly central banks are far from offering cryptocurrency services, the fact that blockchain is a talking point is an important indication as to future usage of the technology. What’s keeping it from happening? The infrastructure does exist, and there are clear benefits to using blockchain technology. So why are banks humming and hawing? Is their reluctance an indication that blockchain startups should be avoided? It’s important to remember that big banks are notorious for being slow to evolve. Especially when it comes to technological innovations that save time and money, small startups develop new products long before the banks catch on – despite having fewer resources, including money and staff. In terms of cross-border transfers, smaller companies have had low-fee services and advanced mobile apps for a long time. So it is no surprise that banks are not jumping on blockchain technology. But there are some significant reasons you might want to follow their lead for now. Bitcoin is possibly the most volatile currency – their intra-day moves are sometimes more drastic than what non-crypro currencies move in one year. Its constantly changing value is not necessarily a problem for cross-border transfers – as long as it is immediately changed to the desired currency. But if you’re holding onto bitcoins, you stand to make losses. Will 2019 be any riskier in terms of currencies? 2019 is going to be volatile as a whole. Read our 2018 FX volatility prediction and our list of 2019’s most risky currencies. All cryptocurrencies are volatile and risky by nature but considering world turmoils they might end up being the real safe havens. Cryptocurrencies are not regulated the same way as other currencies, at least in the US and the UK (FCA). There are complex regulations, which often depend on a state’s regulatory authority. It becomes even messier when you account for companies’ drive to be regulated as technology providers, rather than financial services. While the regulations are not yet too prohibitive, their volatile and constantly evolving nature could prove a problem in the short term. The fact that most banks don’t accept cryptocurrencies is one of the major obstacles in the use of blockchain technology. While there are a few testing the technology out, they are by far the exception. Another issue is that it adds a step in the conversion process. Instead of exchanging dollars for pounds, for example, you have to exchange dollars for bitcoins and then bitcoins for pounds. Due to volatility and lack of sufficient liquidity, the costs may add up to very high figures. It’s important to remember that we are not yet a totally cashless society. While we seem to be heading that way, it’s still not the case, and in certain circumstances cash is necessary. Once we are a generation away from the use of cash, people will be more comfortable adopting a cryptocurrency, but for now many of us are not ready to trust it. We’re not the only ones lacking trust. One of the major reasons that big banks and central banks have not adopted cryptocurrencies is the current security vulnerabilities. By taking bitcoin to the next level, further vulnerabilities not currently accounted for might emerge. With large sums of money, this could be disastrous. And there is reason to be concerned. Blockchain technology has proved unsafe in the past. The Mt. Gox case is pertinent here. Mt. Gox was a Tokyo based bitcoin exchange, that at one point handled 70% of all bitcoin transactions. The domain originally used as a Magic: The Gathering Online eXchange (hence Mt. Gox), played host to one of the most important bitcoin services. In early 2014, the company suddenly filed for bankruptcy protection, and began liquidation procedures. Having lost its biggest exchange, the movement towards cryptocurrencies took a major blow. When the reasons behind it emerged, the fallout was even worse. Investigations revealed that over 850 000 bitcoins belonging to customers and the company itself were missing, possibly stolen. This amounted to $450 million. In 2015, they found that most of these bitcoins were stolen directly from the MtGox hot wallet. Since then, analysts have been rightly worried about the use of blockchain technology. On a larger scale, an incident like this could have a major impact on the financial system. Central banks cannot afford to have such huge vulnerabilities, and although there are security processes in place, their efficacy might not be proven until mass adoption. With everyone using cryptocurrencies, a security breach could bring down the economy and society’s trust in the financial system. Should you use cryptocurrencies for cross-border transfers? Ultimately, you want to know the practical value for you. Should you risk it or not? Unfortunately, I can’t give you a definitive answer. There are clear benefits to using blockchain technology for money transfers. But there are also major downsides and vulnerabilities. What we can say is that, for the foreseeable future, you should not rely on blockchain merchants. While technologically it is a fascinating evolution to watch, investing your money in it is very risky. If you’re sending or receiving regular remittances especially, it’s not particularly practical. The majority of banks and merchants don’t accept cryptocurrencies. Even if you do decide to jump on the bitcoin train, you might have difficulties making use of your money. Also, you could end up losing it all, if security vulnerabilities are not addressed. Furthermore, the currency is still highly volatile. If you keep bitcoins for even a short period of time, their value could plummet. Since you have to convert it to another currency most of the time in order to use it, these drops can lose you a lot of money. All currencies suffer from exchange rate volatility, but not at the same level as we’ve seen bitcoin face over the past eight years. One big dip could mean the difference between making ends meet and not paying the bills. Cryptocurrencies could take over in the long term. Our increasingly cashless society has already taken us halfway there. For those interested in the inner workings of the economy or technological advancement, watching its evolution will be advantageous and incredibly interesting. But blockchain technology is still a work in progress. It might be quicker and cheaper to use cryptocurrencies to transfer money internationally, but for now, sticking with the more traditional methods is worth it.